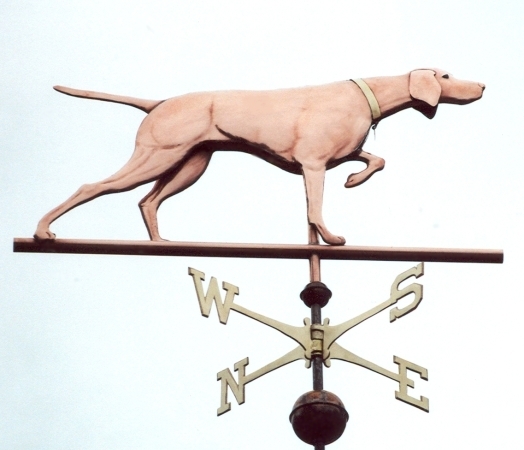 The English Pointer Weathervane on Point is one of two English Pointer weathervanes currently offered by West Coast Weather Vanes. 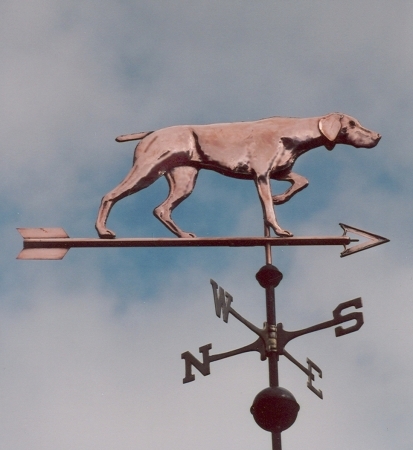 We also offer a Standing English Pointer weathervane. (See example below shown with optional gold leaf). 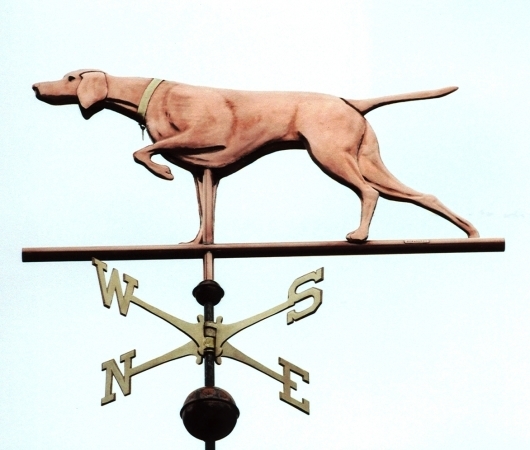 As with all our dog weathervanes, we can add a collar with or without a dog tag in the shape of a heart, circle or dog bone. Your dog’s name(s) can be stamped onto the collar and/or tag. 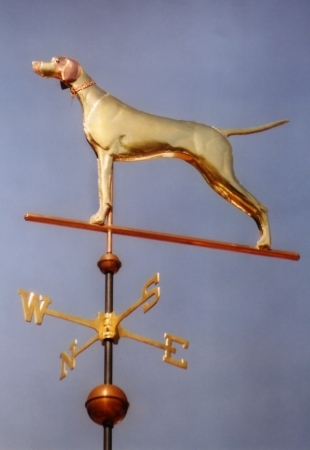 We can also use optional gold leaf to match your dog’s markings (as was done on the Standing English Pointer Weathervane). The dog can be made as male or female. If yours is a hunting dog, you could substitute an optional gun for the horizontal tube under the dog’s paws. Or, grasses and reeds can be added to the horizontal tube to place the dog in a more natural setting. Another option is to include a pheasant, duck or other prey on the horizontal tube just in front of the dog’s front legs. 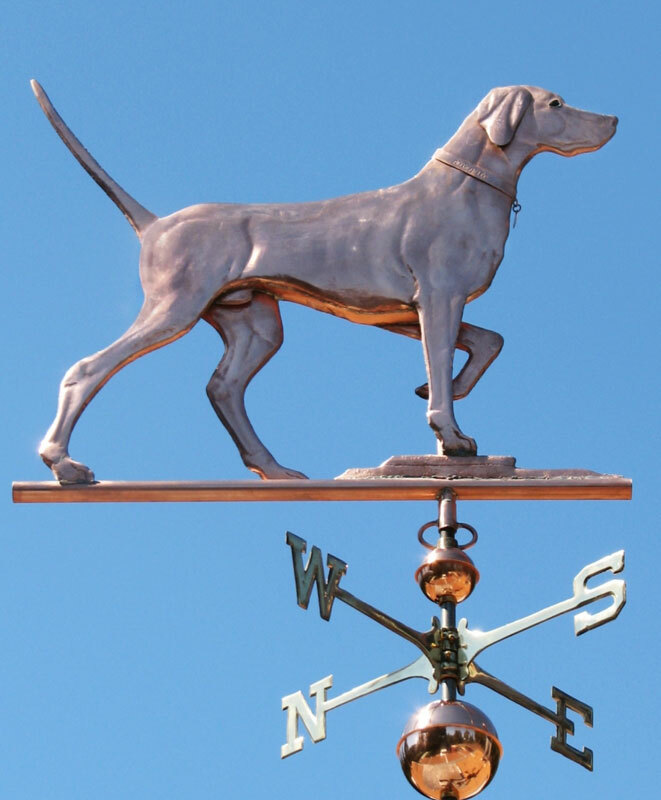 The Pointer, often called the English Pointer, is a breed developed as a gun dog. It is one of several pointing breeds. Pointers were bred to work with hunters. 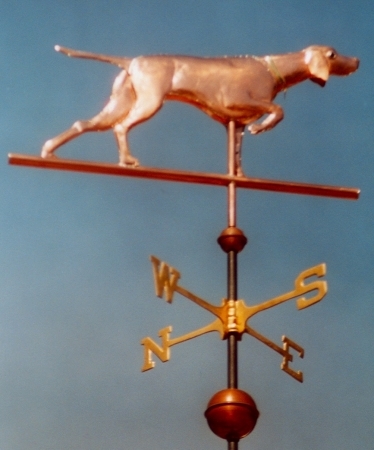 In the past they were sometimes used in combination with a retriever, to point out the game for the hunter. 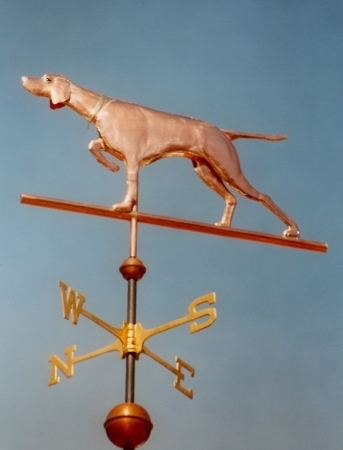 Pointers were also used as falconer’s dogs. 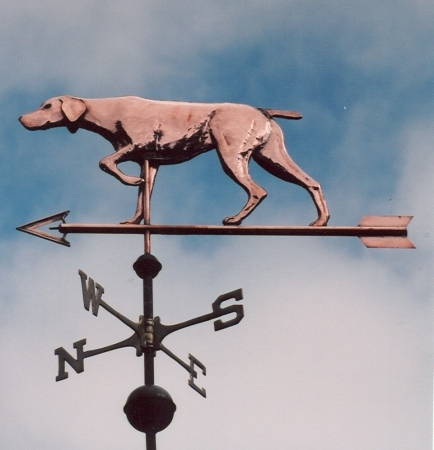 As early as the 17th century, sportsmen used Pointers to locate hares and then Greyhounds to chase them.